Fire breaks out in home near Carmel Market in Tel Aviv, killing resident. A fire broke out in a Tel Aviv residential building early Monday morning, killing one person, police reported. 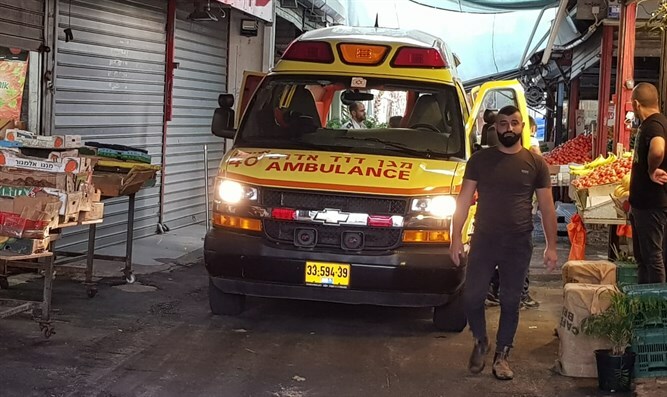 The incident occurred on Yom Tov Street, next to the Carmel Market in central Tel Aviv Monday morning. Authorities report that the fire began in the back yard of a single-story residential building, near a storage shed. The fire then quickly spread to the building itself, trapping a 62-year-old woman inside. Firefighting units were dispatched to the scene and managed to pull the woman from the burning building. Emergency medical teams attempted to resuscitate the woman after she was pulled from the building, but were ultimately forced to declare her death. “When we arrived on the scene, we saw heavy smoke coming out of a one-story building which had gone up in flames,” said MDA paramedic Danny Ben Arush. After the woman’s death, police released a statement regarding the incident.